Sadly, the 2016 Adult Summer Reading Program has come to an end, but we have plenty of fun programs planned for adults in the months to come. Join us for Building Your DIY Toolbox. A well-equipped toolbox is essential for completing jobs around the home – from hanging a picture frame or doing major home improvements. We will discuss the tools everyone should own, from the most minimalist toolbox to the experienced DIYer. For August we will be watching the movie The Queen starring Helen Mirren. Based on the death of Princess Diana, Queen Elizabeth II and Prime Minister Tony Blair struggle to compromise on how the Royal Family should publicly acknowledge the tragedy. The Book To Movie club will be watching and discussing the movie The Painted Veil starring Naomi Watts and Edward Norton. The movie is based on the 1925 novel by W. Somerset Maugham. After being caught in an affair with another man, a scientist's callow wife accompanies her husband to mainland China in the 1920s to fight a cholera epidemic. There, she embarks on a journey of self-discovery that leads to an unexpected chance at redemption. Our next book to movie is Follow the Rabbit Proof Fence written in 1996 by Doris Pilkington Garimara. The book tells the true story of three aboriginal girls who are forcibly taken from their families in 1931 to be trained as domestic servants as part of an official Australian government policy. They make a daring escape and embark on an epic 1,500 mile journey to get back home. 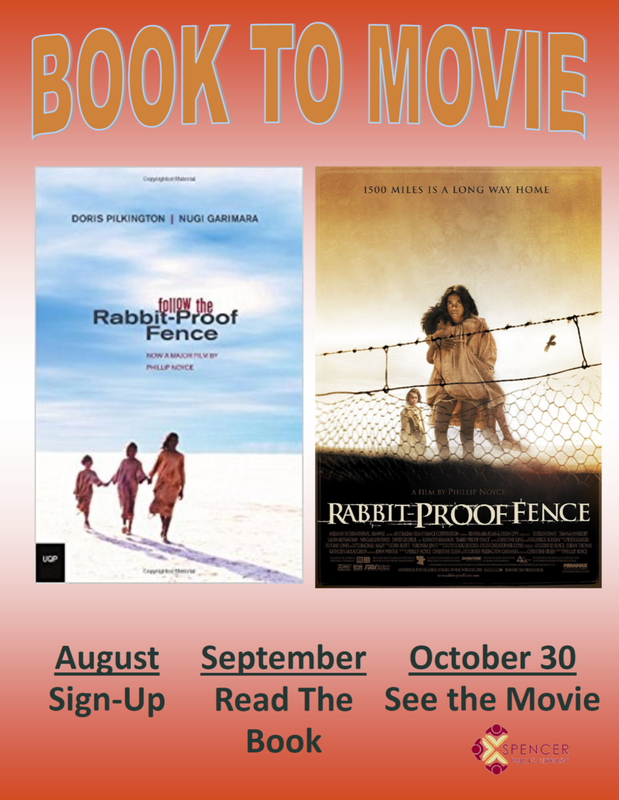 We will be watching the movie titled Rabbit Proof Fence starring Kenneth Branagh in October, so sign-up to read the book today.